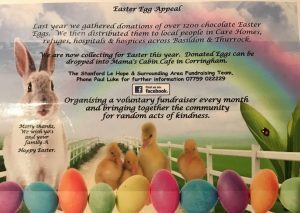 THE Stanford Le Hope & Surrounding Area Fundraising team have launched their Easter egg appeal for 2018. Last year the team collected and distributed over 1200 Easter eggs to people in care homes, hospitals, hospices and refuges. They hope to smash last years numbers and deliver more like 2000 plus Easter eggs this year. 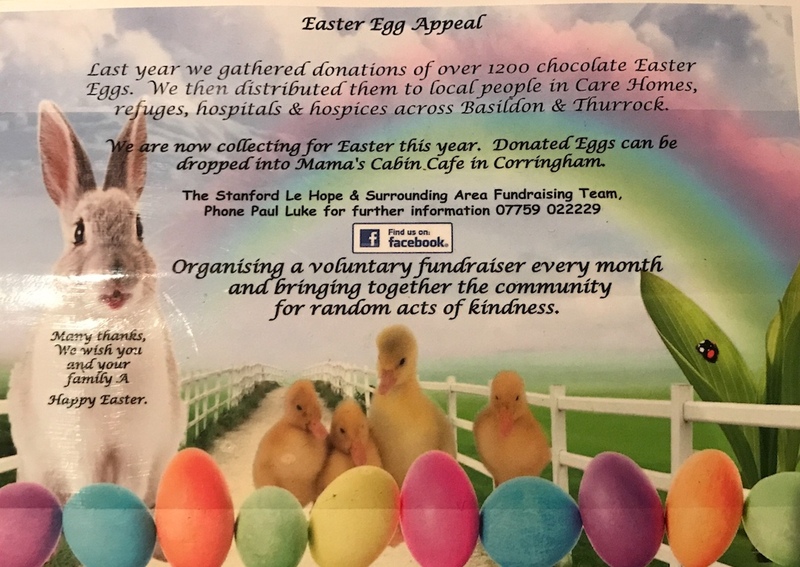 Egg donations can be dropped into mamas cabin cafe in Corringham town centre, Corringham Primary school, planet plume Vape shop in Stanford Le Hope & arthur Bugler Primary school. If anyone’s interested in collecting eggs as a group of neighbours, friends or colleagues etc the group will be happy to collect larger donations. For further information please contact Paul Luke on 07759 022229. 2 Responses to "Stanford-le-Hope Easter egg appeal"
They won’t find anyEaster Eggs in the shops ,I havent seen any traditional Easter Eggs only chocolate eggs in the shops as the word Easter is a naughty word and will upset our non christian friends. Good job they are not looking for blackboards, manholes, whiteboards or bah bah blacksheep as he(ooops maybe a she) is now a rainbow sheep.